DID SOMEONE SAY Arty Birthday Party? Party time! We are here to help you give your child a fun and creative experience that they will remember forever! Our easy approach takes all the hard work off your hands, so you can relax and enjoy the celebrations too. Craft pack (R50/ N$50/ NZ$6 per child): Includes all the supplies and instructions you need to create a craft at home. Crunch Craft pack (R60/ N$60/ NZ$7 per child): Includes all the supplies and instructions you need to create a craft at home + a bag of chips. Sweet Craft pack (R70/ N$70/ NZ$8 per child): Includes all the supplies and instructions you need to create a craft at home + a bag of chips + candy. (Included in The Splurge Package). Get a professional photographer to capture your child's special day. Contact us for a quote. Frozen Party - create your own Frozen snow storm music shakers for hours of play afterward. Pet Party - create your own puppy, bunny or even a sssnake! 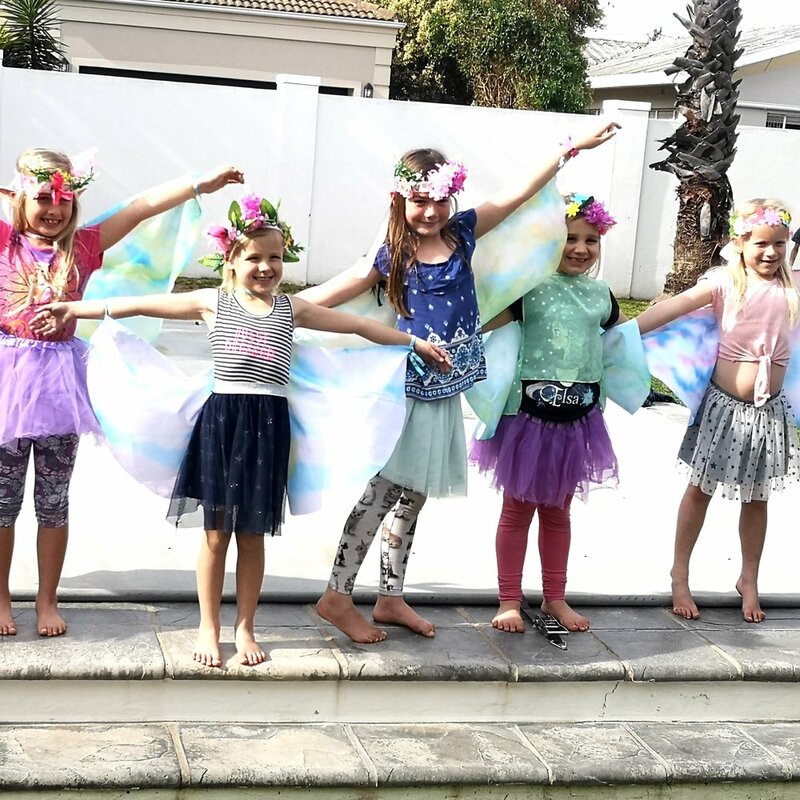 Enchanted Forest Party - think flowers, fairies and glitter. 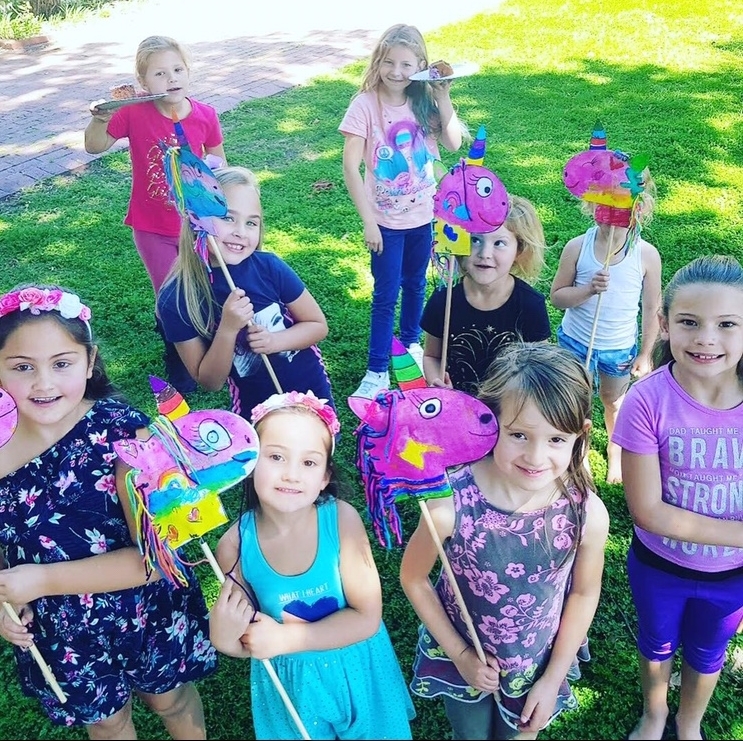 Indians on Horses Party - giddy up, create your own stick hobby horse toy. 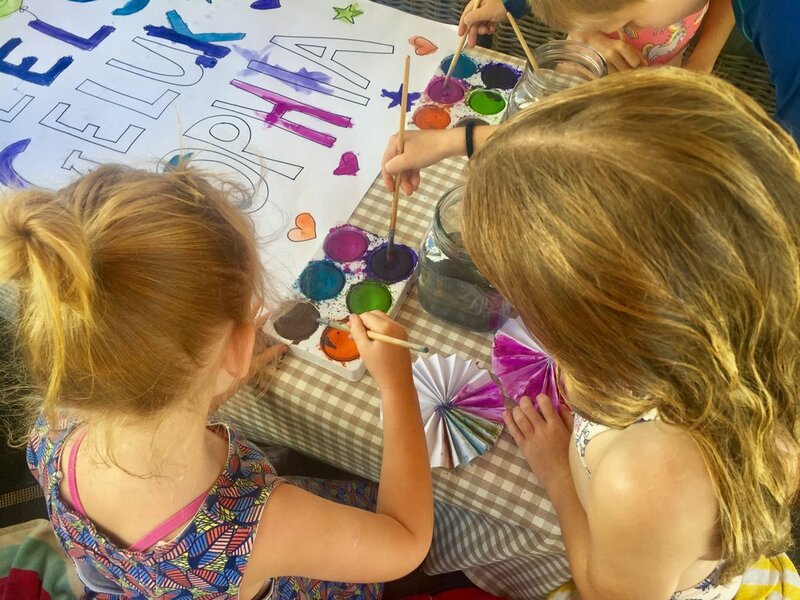 Rainbow Unicorn Party - glitter, glue and rainbow paint, do we need to say more. Dream Catcher Party - create a colourful dream catcher to hang above your bed. Under the Sea Party - create your own aquarium, fishing game or octopus soft toy. Rocket Party - create a rocket to run around with or one that shoots up to 20 meters! Soccer Party- create an awesome soccer/ foosball table out of a box. Monster Bash Party - create your own monster that can move. Dinosaur Party - put the ROAR in dinosaur with an adorable dino craft. Music Party - let's boogy with a self-made musical instrument. Robot Party - beep boop, make your own gliding robot toy. PAW Patrol Party - No job is too big, no pup is too small! PAW Patrol is on a roll! Princess Party - every princess needs a beautiful wand and glitter crown. Host the party at your home, venue of choice or at one of our venues, depending on availability. Let the party come to you! You will need to provide tables and chairs, we bring table covers as well as all the supplies. Please note for the Keep it Cool package we charge an additional R50/ N$50/ NZ$5 per child to host the party at your home or venue of your choice. A 50% deposit is required in order to secure your booking. Balance of the payment is to be made before the day of the party. 10% discount for 20 or more children. Minimum of 8 children required for parties.